Parisian fashion shows are cool and all, but a lot of the best style comes straight from the sidewalk. For our On The Street column, we take a peek around town for the best and most interesting looks around. 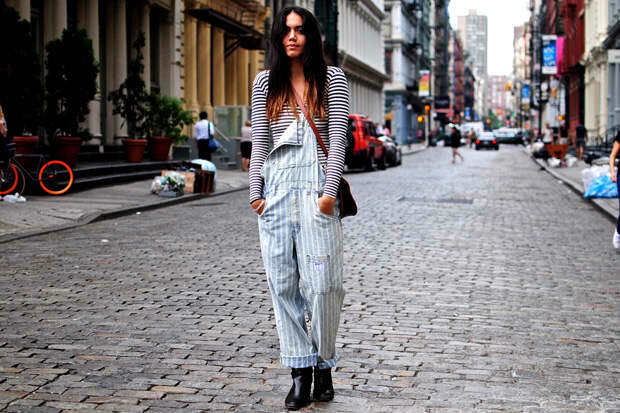 We're digging these overalls pretty hard. The horizontal-stripe-on-vertical-stripe combo is unfussy and not nearly as confusing as it might sound. 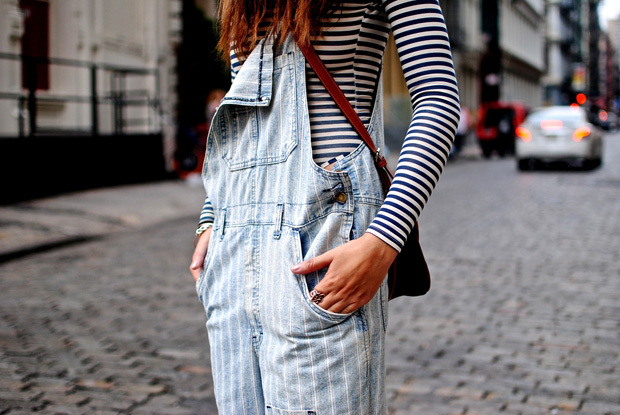 Rocking one strap up and one strap down, circa early ’90s House Of Style steez, these overalls are pulled off with the ease of a slouch.